Organic Solution is a family-owned quality soil amendment company that is dedicated to creating terraceuticals for all of your gardening needs. All of our products are hand crafted in micro batches to insure the highest possible quality. At the core of Organic Solution’s heart is our worm farm. We hand raise our worms organically- feeding them an artisan diet that includes pre-consumer vegetable waste, locally sourced coffee grounds, kelp meal, rice hull meal and a proprietary blend of nutrients. 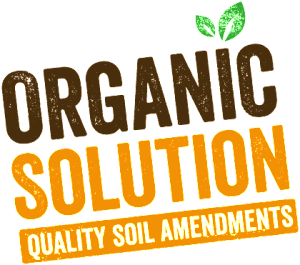 We know that soil health is essential to plant health- so our main focus is insuring that our soil is teeming with biology in order to produce nutrient dense soil amendments for organic gardeners and growers alike. “Happy plants start with happy soil”. Happy Plants Start With Happy Soil.